We are planting the wrong seeds in the hearts of our children with the message no God by day and violence everywhere on television at night. Although the United States is still the largest Christian nation in the world, the country has seen an ideological shift in religion. According to a Gallup religion poll, the percentage of adults who identify as Christian has dropped 5 percent since 2008. This trend is concerning to Lesa K. Smith, a Christian who believes that America may be phasing out religion in society. 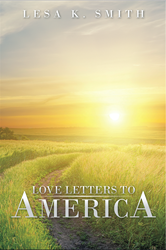 In her new book, “Love Letters to America,” Smith focuses on various controversial issues, including the role of God in schools, violence on television and religious liberty. Smith was adopted as a 1-year-old, which had a lasting impact in shaping her views on abortion. She previously volunteered with the Crisis Pregnancy Center of Knoxville, now know as the Hope Resource Center, which counsels pregnant women against having abortions. By sharing her letters, she aims to call attention to cultural matters from a faith-based perspective and urge people to remember that God is always present in their lives. “We are planting the wrong seeds in the hearts of our children with the message no God by day and violence everywhere on television at night,” Smith said. Lesa K. Smith is a former volunteer with Hope Resource Center, a crisis pregnancy center in Knoxville. Smith has traveled with her church for mission trips in Spain, Portugal and Venezuela. She was adopted when she was 1 year old, and seeks to be an advocate for right to life. Smith resides in Knoxville with her husband.